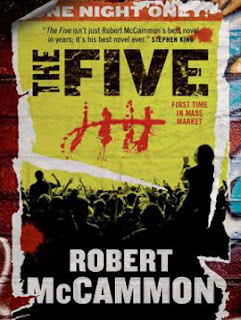 Horror-suspense writer Robert McCammon tackles his first contemporary suspense novel in years with The Five, a novel about an eponymous rock band struggling to survive on the margins of the music business. Made up of five members who have been on the road a long time and are survivors of many different other bands, The Five have come to a familiar career crossroads. 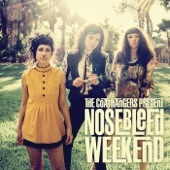 While they have a small touring schedule lined up for the next few weeks or months, they are on the verge of breaking up. And to help keep the band together despite two members already having plans to leave, they agree to write one last song — one that each of them will contribute lyrics and instrumental sections too. Even the manager is invited to contribute. But what they don't know, could not even begin to suspect, is that the song that they are proposing to write might become significant to someone far off into the future. The song is so important, in fact, that something awakens to prevent them from finishing it. The Five is a suspense thriller with a supernatural undercarriage. The novel is not abruptly supernatural, but much more subtle and organic as its first manifestation is very human. On the day he intends to commit suicide, Iraq war veteran Jeremy Pett sees a music video centered around an anti-war song and takes it as a personal affront to his service and sacrifice. He decides right then and there that he has been called back from the brink of death by another mission. The former Marine sniper, who lost his wife and son to an accident while he was fighting for his life in Iraq, decides that he has been chosen to kill every member of the band. And his reward in doing it will be to receive contract killer work from his government and others for the rest of his life. His first attempt to kill one of the members is successful. While the local police initially believe the shooting to be an accident, the story quickly spirals toward the truth. There is a trained assassin who is anxious to kill them all, creating a moral dilemma for the band. All the media attention has created a surge of interest in the band, causing record sales to spike for the first time in their career and every upcoming show to sell out well in advance. Once they decide to press on and donate a portion of the proceeds to their lost bass player's family, they are joined by a veteran FBI agent who is as much interested in capturing Pett alive as he is in protecting the band. A few more graphs about author Robert McCammon and his novel. 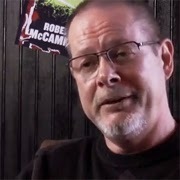 The idea for The Five came to McCammon while he was sitting in a pizza restaurant and heard the song Bitter Sweet Symphony by The Verve. He almost immediately started thinking about how songs affect people and how they affect people in different ways. It also provided him an excellent opportunity to bring his fiction back into the present. "The book is about the power of music," said McCammon. "It's one of the strongest stories I've ever written because I felt so connected to the characters." The depth of the characters is an asset and curse for the novel, creating long passages of sometimes thought-provoking and sometimes out-of-place backstories that enhance and detract from the plot. The whole of it weighs the thriller down to a crawl, diminishing any sense of urgency that one might expect from a hunter-killer thriller. The mundane also undermines any connection to the tug-of-war between good and evil, with the lyrical work by McCammon falling short of the inspirational wunderkind lyrics it promises it to be. The message is much more obvious — life is short so make the most of it. The Five By Robert McCammon Tours 5.8 On The Liquid Hip Richter Scale. 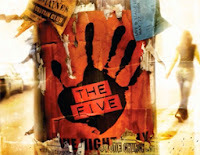 The Five never becomes the riveting pursuit thriller it could have been and does not truly capture the inner dynamic of the band beyond the surface. 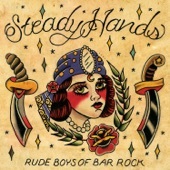 The members are mostly characteristic of thumbnail bios, including rage-filled frontman Nomad, self-possessed bassist Mike, gentle singer-guitarist Ariel, lesbian hippie Berke, and retro-hispter keyboardist Terry. You can find The Five by Robert McCammon at Barnes & Noble. The Five is also available from Amazon and can be downloaded for iBooks. 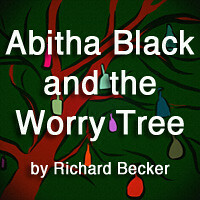 The audiobook is available from iTunes. It is narrated by Nick Landrum, who helps keep the pace of the novel moving forward — making the most mundane aspects of the story entertaining if not interesting.